June 19-June 29. Hosted by Fr. Russell Roide. 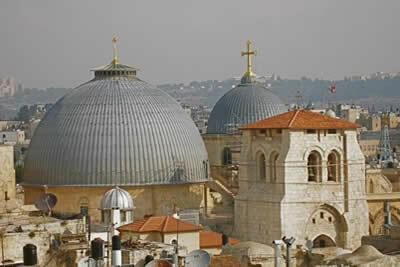 We would like to invite you to consider joining us for a wonderful experience of the Holy Land. the place where Jesus was born, spent all His earthly life, was crucified, buried, resurrected and then ascended to heaven. For only $2,190 per person! $2,190 is for land only. Flights can be arranged on your own or you can contact the travel agent through Fr. Roide, S.J. Please email Fr. Russell Roide, S.J. russellroide@aol.com with your address to have a brochure mailed to you. 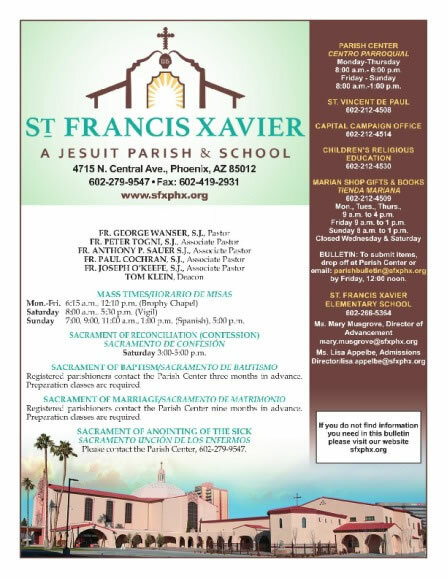 If you wish to speak with Fr. Roide, S.J. about the pilgrimage, you may call him at 408-313-5767 for more information.